Come host your own unique retreat at the Bodhi Tree Yoga Resort. 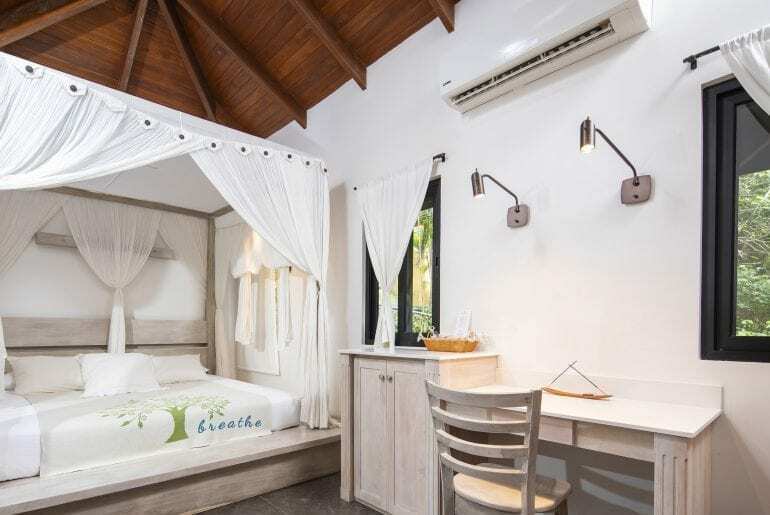 Majestically positioned and elegantly designed, the Bodhi Tree Yoga resort is delighted to share a modern yet peaceful sanctuary that will meet your needs and exceed your desires. We are pleased to offer our facilities and accommodations to health-minded teachers and leaders across the globe. 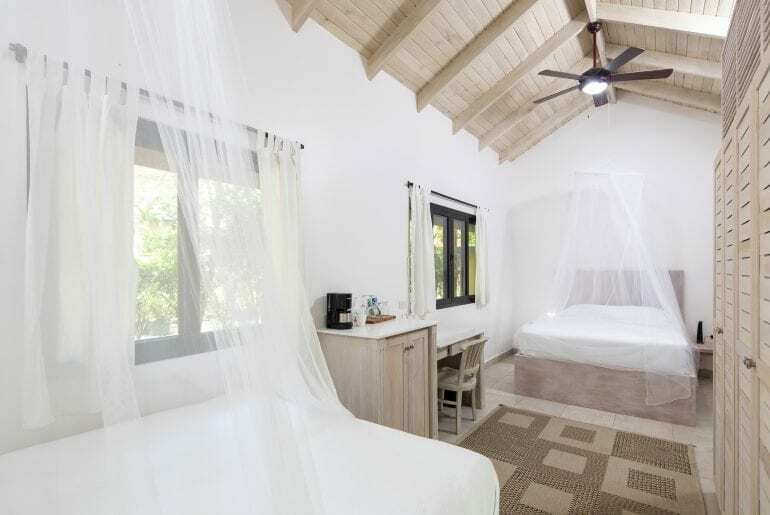 Our modern accommodations and our open-air yoga studios are set amid the tropical lush green jungle. Come be a part of our community, and experience the raw beauty of Costa Rica. 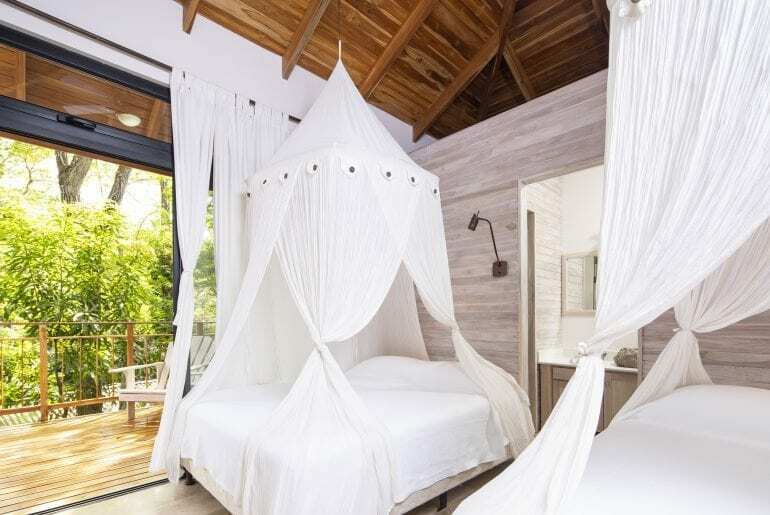 Wake with the howler monkeys, meditate beside gentle streams, and be serenaded by the symphony of the jungle. Follow gentle paths to your bungalow and be embraced by the calming hand-placed rocks and waterfalls throughout the Bodhi Tree Yoga Resort. Blending seamlessly into the natural landscape, our grounds are designed to inspire a feeling of home in harmony with nature. Feast on the breathtaking jungle as you dine in our open air pavilion. A free private or double room for group leaders, depending on the size of your group. Your choice of six exquisite shalas, all with smooth, cool wooden floors, state of the art sound systems and your choice of creative Manduka props. 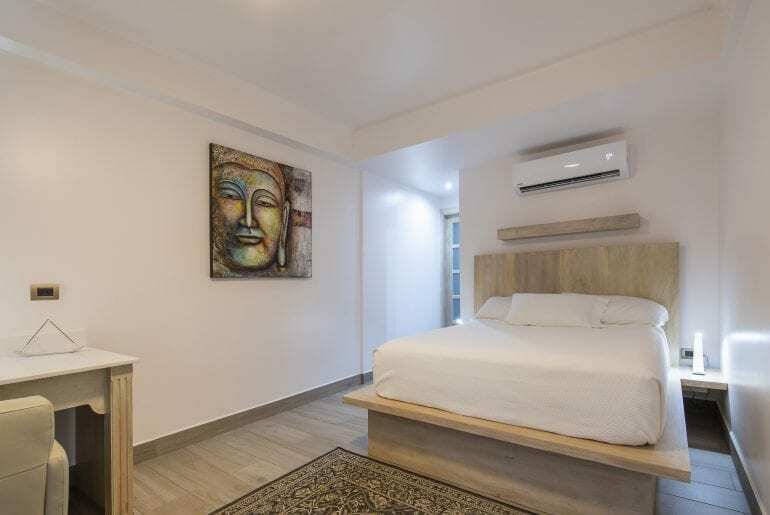 Modern Balinese furnished bungalows with luxurious bathrooms, dramatic high ceilings with fans, air conditioning, free wifi, Raw Botanical toiletries, Egyptian cotton sheets, linen service, private open-air rainfall showers, outdoor seating areas, and Wi-Fi throughout. Our Bodhi buffet provides breakfast, lunch and dinner and features fresh, local ingredients with traditional flavors. We can accommodate most dietary considerations. 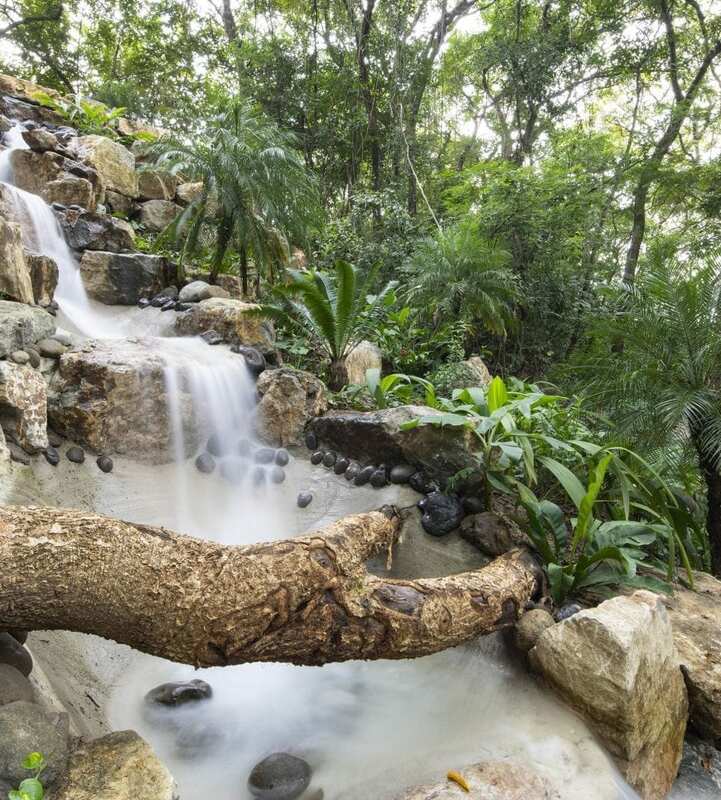 Over eight acres of landscaped gardens with exotic flowers, 100-year-old Guanacaste and Pochote trees, waterfalls and gentle streams that inspire meditation and reflection. Whenever you wander through our grounds, the sounds of the waterfalls will follow you and quaint sculptures and statues will surprise you at every turn. Two salt water pools located on the property, juice bar, gym, Cascada restaurant, and spa with jungle and ocean views. Additional daily yoga and fitness classes taught by our Bodhi Tree instructors. Pristine beaches, spectacular sunsets and gentle waves and the most consistent surf breaks of the pacific coast, just a short walk away on a jungle path. 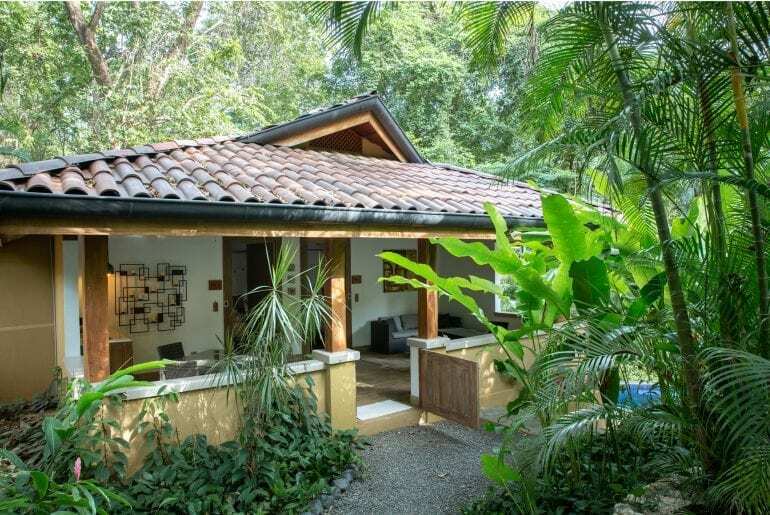 Stay in exquisite accommodations set amid the splendor and beauty of the lush Costa Rican jungle. We offer exceptional accommodations and modern conveniences that will compliment your group’s experience with us. 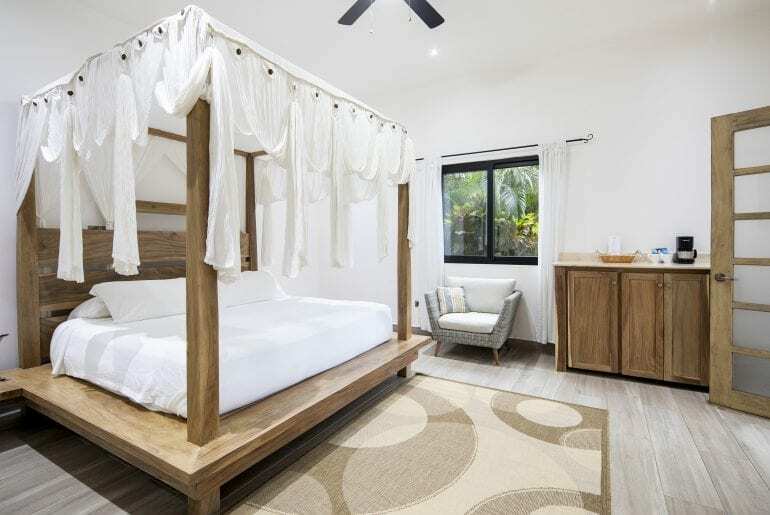 Our modern Balinese furnishings, luxurious bathrooms, dramatic high ceilings and large windows create a sacred space for soothing rest and quiet contemplation. 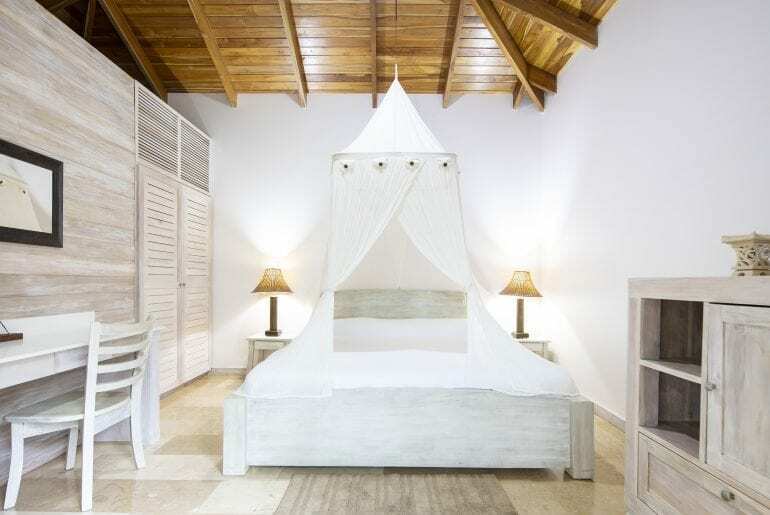 All rooms include egyptian cotton sheets, air conditioning, coffee and tea maker and a laptop-sized safe. Study or work in comfort at the large work desk with access to free wireless internet. Refresh from a long day of practice in your open air, rainfall shower, featuring luxurious Raw Botanicals toiletries. 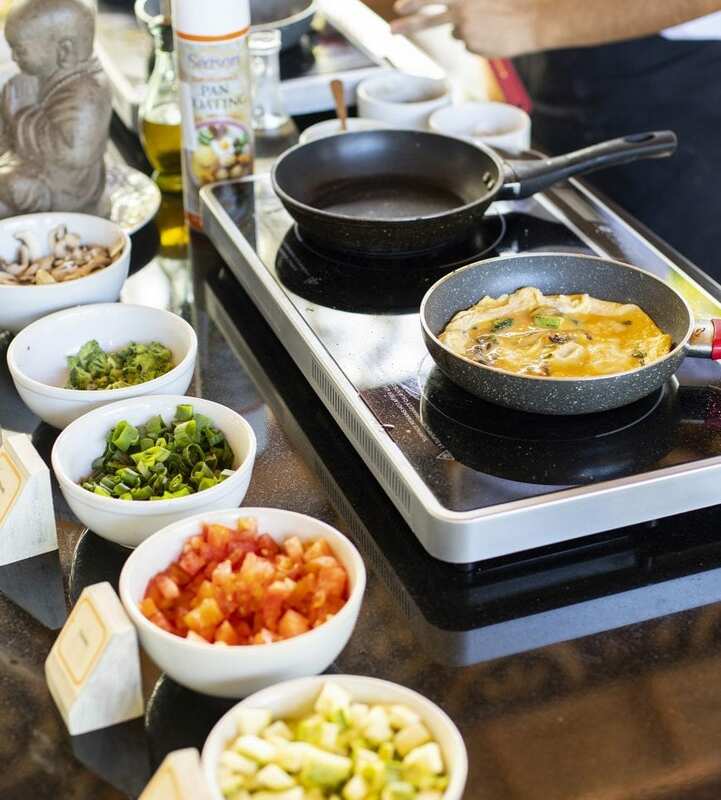 We make it easy for you and your group to enjoy delicious, healthy meals without stepping off the resort property. 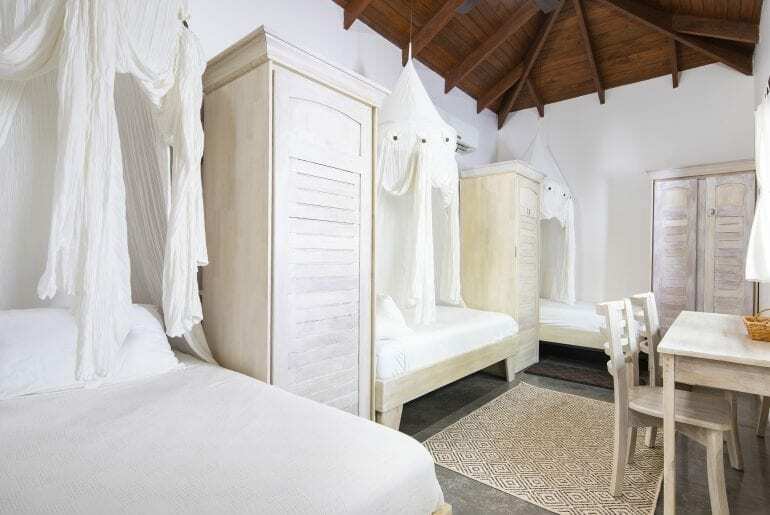 Bodhi Tree Yoga Resort strives to use natural, fresh ingredients to promote a healthy lifestyle. By gathering ingredients harvested from nature, stimulating individual well-being at the ground level allows one’s health to blossom. Our Bodhi Buffet offers an array of hot, and refreshing cold soups; an excellent buffet of veggies and salads; organic chicken, fish and vegan options. We also cater to any palette as a personalized service to suit all your special dietary needs. Organic wine and artisanal beer are available for purchase with your dinner. yoga retreat. With hardwood floors, breathtaking views, state of the art sound systems and your choice of creative Manduka mats and props, there is no better spot to take a deep exhale. Bodhi Tree can provide highly trained and qualified instructors to lead or help with your retreats. Multi-skilled yoga teachers (vinyasa, hatha, therapeutics, yin, restorative, ashtanga, advanced posture clinics) and also meditation, pilates, and fitness coaches can be available to help meet your needs. Please do take advantage of our public classes and workshops that are already scheduled. Located just past the juice bar, our Kula shala is the home of most of our community yoga classes. The Shakti Shala is our second largest indoor shala with air conditioning. This shala is west of the Kula shala, located down the path from Pilates Nosara. With a 360 degree open air, jungle view, the Akasha Shala is the perfect place to feel at one with nature. This shala is located just past the Shakti shala. Home to most of our fitness classes, the Hanuman and Nartana shalas are located in Bodhi Village, just behind the Tree Tops building. We offer to help arrange flights for our guests flying to and from Liberia or San Jose. Liberia is the closest international airport, approximately 2.5 hours drive from Nosara, and San Jose is approximately a 5 hour drive from Nosara. We know there are many retreat facility options to choose from, so that’s why we want to show you our appreciation. When you host your retreat with us and book a minimum of 10 guests, your accommodations and three meals a day are on us. 10-14 guests, one teacher can stay for free in a Queen Tree Tops Rom. 15-29 guests, two teachers can stay for free in a Jungle Room. 40+ guests, two teachers can stay for free in the Bodhi House. Final 50% is due two weeks before the start of your retreat. Retreat Coordinators are 100% responsible for the first 10 guests, even upon cancellation. If we do not receive the full payment within two weeks of the start date of your program, then we reserve the right to cancel your reservation. All retreat payments must be made via wire transfer or credit card. The initial three payments (deposit of 10%, 2 payments of 20%) are non-refundable. Rooms released 60 days or more are charged 50% of the reservation. You will be charged 100% of your total reservation if cancelled two weeks or less before the start date. *Note: Accommodations are subject to availability. 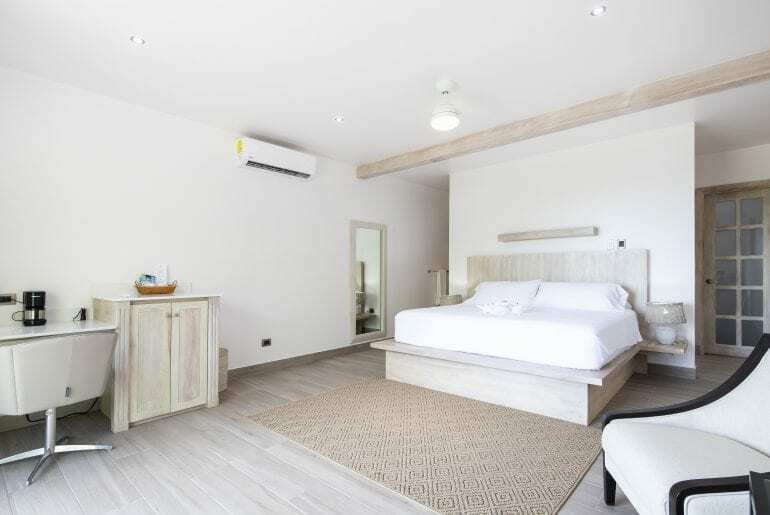 A 13% Costa Rican Sales Tax will be added to all room prices listed. General prices are subject to change without notice. Prices will be locked in upon payment of deposit. Retreat bookings are not available Dec 23 – Jan 1.